The benefits of choosing laminate flooring are many but why choose laminate flooring for your home? Find out! Laminate flooring is a really amazing innovation in the world of flooring and infrastructure, as, unlike it’s counterparts in marble, hardwood, or carpet, laminate floor does NOT fade in sunlight and is highly resistant to staining, scratching, and damage from impacts, known to withstand upwards of a thousand pounds of pressure per square inch with proper core board underneath. This versatility leads to it’s use in many environments. It is also highly resistant to dust, as well as mold and other bacterias, and these elements do not absorb into at all like carpet does, and is extremely easy to sweep. It’s also nearly UV resistant so it’s a very popular choice for sunrooms and atriums as the floor does not get damaged, as well as being conducive to temperature shifts by the way the laminate flooring is constructed. 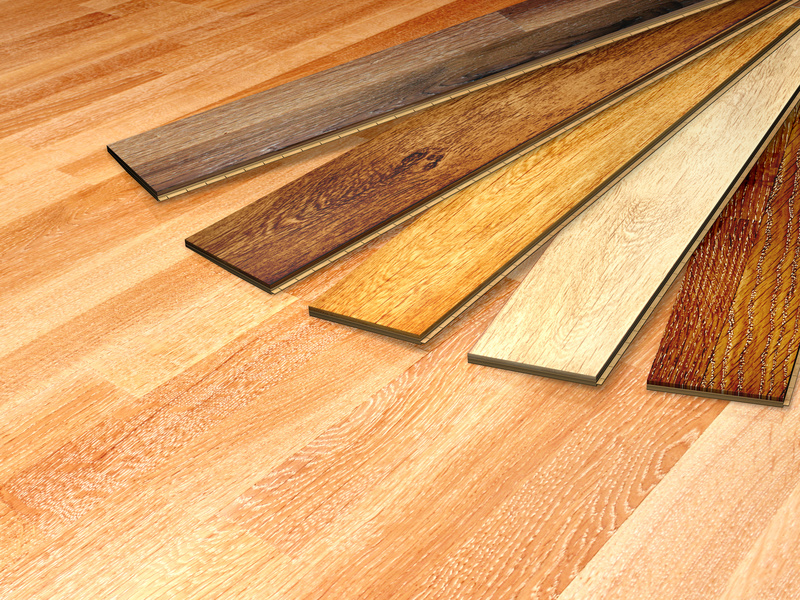 Another factor in laminate flooring popularity is the ease of laminate flooring installation. It’s really a snap for anyone who is handy with construction type materials, and even people who aren’t because of a groove click system that helps you snap it together, we offer wholesale flooring for DIY for this very reason. It doesn’t matter at all what your underneath floor is because the laminate floor does not need to be adhered, it just floats overtop of plywood, concrete, vinyl flooring or even wood. This is ideal for saving time and money in almost every situation! 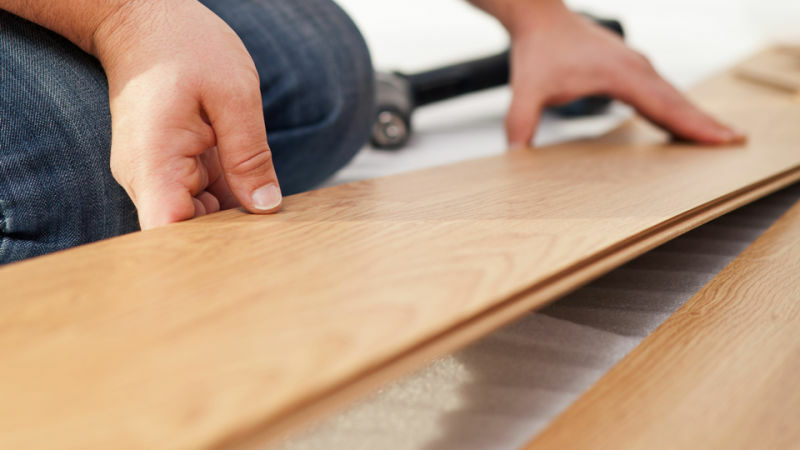 Laying laminate flooring is actually quite an easy task, as daunting as it may seem to floor an entire room, laminate flooring’s innate strength is it’s ease of installation, so hopefully Laminate Flooring Kings can help you out with some tips here! 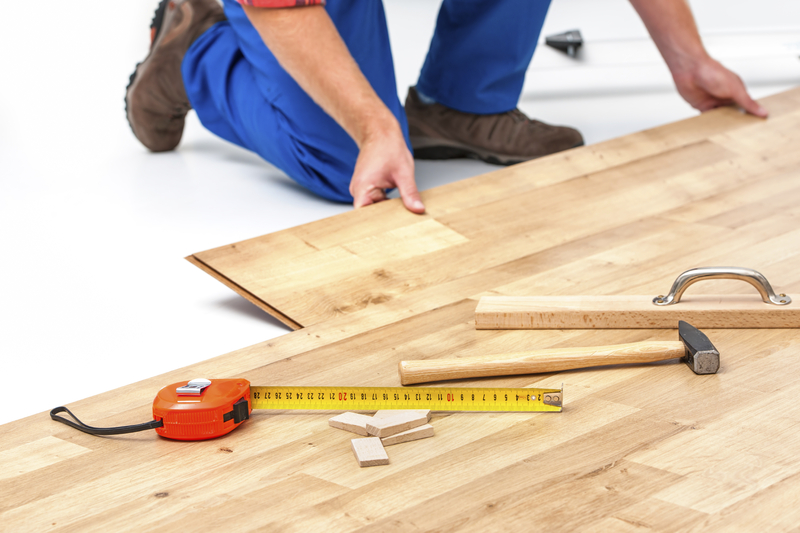 Number one, you’ll need an underlay fitted to your subfloor before your laminate floor can be laid. Wood fibre is probably the thickest kind of underlay to utilize, and certainly the best choice if your surface is uneven and you wish to correct it. Wood fibre also retains heat very well, as well as sound. Polyfibre is also an option, it is the thinnest layer, and perfectly suitable for firm undamaged, dry subfloors, like a normal wooden floor. Considering your subfloor is a very important part of installing laminate floor if you want it to be correct, if you use thin laminate on an uneven floor the results wont be pretty! Might as well use a wooden base to level it out in that situation. Number 2, make sure the area is clean, as this is most likely a flooring unit that will last some time, so anything you put under it and don’t clean is under there until it’s pulled up, however long that may be. Definitely be safe and vacuum, possibly clean with light chemicals the floor, always better to be clean! Contact the Laminate Flooring King today to get a free appraisal on the type of laminate flooring for you! Laminate flooring is a huge convenience and time-saver, which is an amazing thing! But as with many things, this can be a double edged sword if you’re not careful. There are things that can go wrong when installing laminate flooring DIY, and you should do your best to avoid them. Firstly make sure the planks are room temperature to the room you’re installing, if they’re cold and contracted, they WILL expand when you install them, causing damage. It’s advised to leave the planks in the room at least overnight. 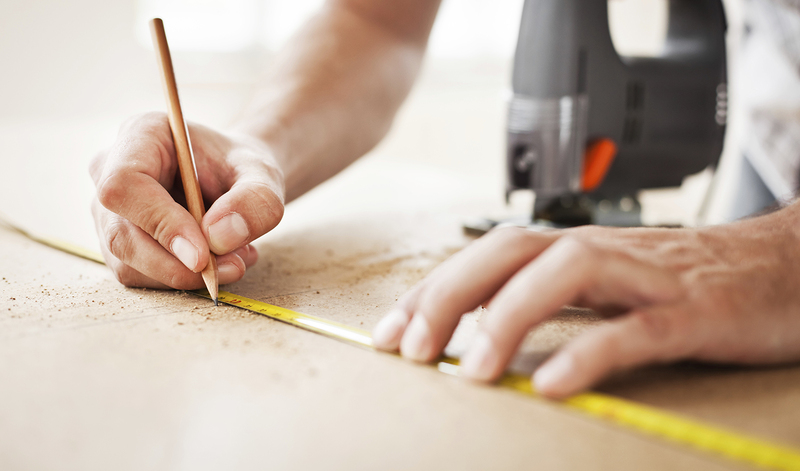 Start by making sure your underlay or subfloor surface is flat as possible, or make sure you’re making adjustments in your flooring for such imperfections. You also would like to make the surface as clean as possible, using household cleaners to scrub if possible, so that your seal is as sanitary as possible. Another very important factor is of course having the correct measurements for your area, and having the resources to do so – it’s generally recommended to purchase 15% more than you need in case any errors occur. You should as well consider any stairs you will have to install the laminate on, as you are perfectly able to, you may have to purchase a nosing on the stair to help you with a clean finish on the steps. You should also consider the thickness of the wood not only for the integrity of the structure overall, but for the sonic implications, laminate flooring if high enough up can cause a ‘hollow’ sound when walked upon, you can line your floor with padding, or get thicker planks to mitigate this quite easily. Call us at Laminate Floor Kings to purchase materials today for your DIY project or have a PROFESSIONAL help you with your installation! We will be one of the first to admit – laminate floors have a beautiful luster to them. To keep this shine and sheen intact and maintained over time, we’ll help you to make the correct steps to do so. 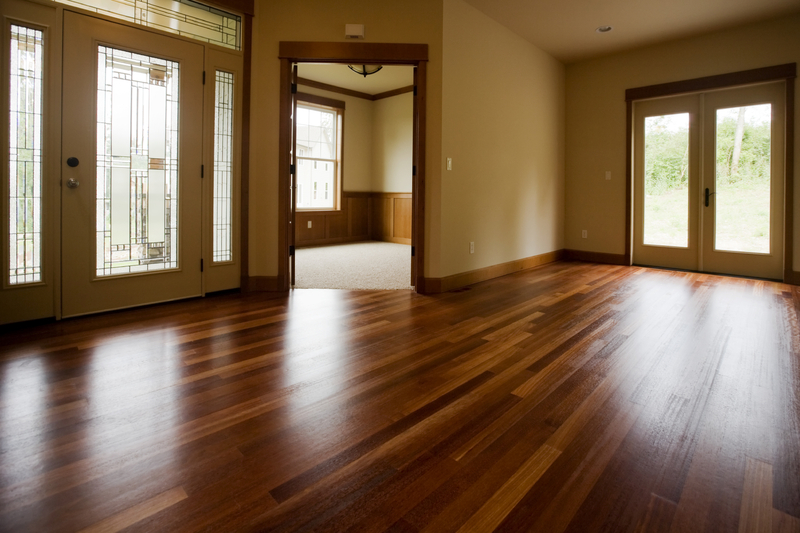 Whether your laminate floor is fairly new or more aged, if it does seem to be a bit less enthusiastic in pleasing the eye, you may want to check out the following things that can be done to restore the natural shine that comes with beautiful laminate flooring for your home or business. Product – Since you can’t use wax when you’re cleaning or trying to restore shine to your laminate floors, we suggest that you make the wise investment in quality laminate cleaning product, or shine product, made just for buffing and restoring sheen. Cost varies between ten and twenty dollars. If you can’t afford this, you can also utilize distilled vinegar and water. To remove dirt this way, create your mixture using 1 cup of distilled vinegar to every 1 gallon of water. Whatever you do – do not use soap-based products on your laminate floors! This will ruin your laminate flooring and create a dull film layer that is difficult or sometimes impossible to remove. 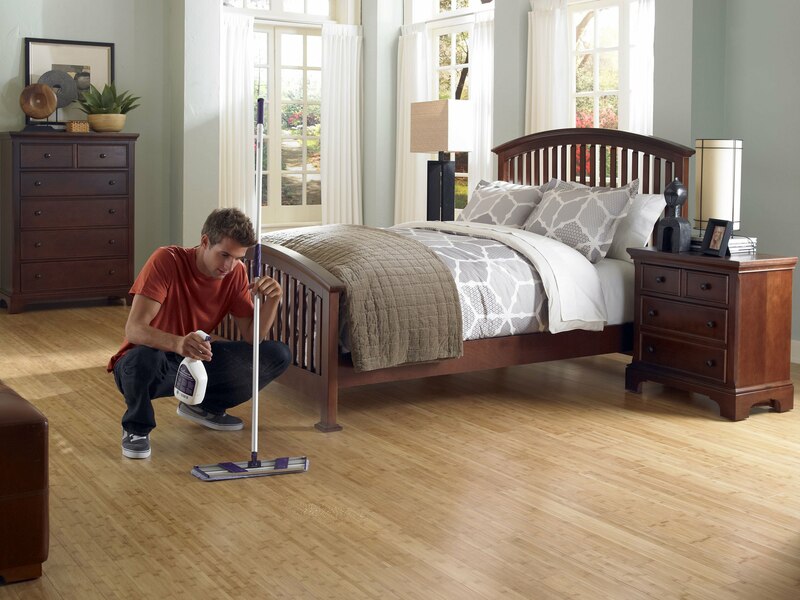 Sweep your floor area using a soft-bristled broom. Remove the dirt by mopping with the vinegar mixture. Note: the floors MUST be dried IMMEDIATELY after. 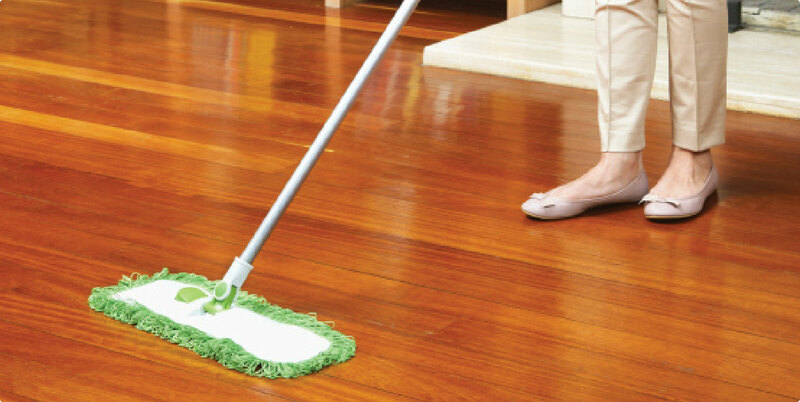 Next you may apply chosen laminate floor product by spreading it over the floor with the use of a microfiber cloth. (Microfiber will not pull on your floor, which would leave little bits of lint for you to clean up after cleaning – who wants more work?!). Start in one corner of the room and work your way backwards, spreading the product evenly while doing so. At Flooring King, we provide a vast and wide variety of services and products for laminate flooring, all available based on the lifestyle and flooring standards afforded by residential and commercial clients throughout Miami, Fort Lauderdale, Hollywood, Palm Beach and Dania, Florida.